Photo collage: Tony Cortizas Jr.
10 Rounds. 2RR. Players divided into six player sections by rating. No games on Patriot’s Day. This will be the 16th annual edition of the popular tournament, a ten-round, double round-robin. Initiated by Bryan Clark, this format [generous time control with two try's against known opponents bunched in competitive groups] remains popular. And it is one of the few tournaments left that incorporate adjournments. This long running Boylston event is particularly attractive because of it rather unique format. It is a double round-robin among 6 closely rated players, so one knows one's opponent and color in advance. The time control is generous and - unusual for this days - allows for adjournments. As Steve Stepak put it last year: "This is a thinking person's event: 10 rounds, double round robin. The time control is: 40 moves in 90 minutes (+5" delay) and then G/60. A nuance in the time control is: after 3 hours of play, the game may be adjourned and resumed on a day agreed to by the players. So this event is for players who like to think out complex combinations and strategies on the board and need the time to do so and who enjoy analyzing adjourned positions and resuming the game like was done in the "old days" . . . in the time of Bobby Fischer, for example. Today, due to the proliferation of chess programs like Rybka (3199), Fritz (3080), Shredder (3058) and now Houdini (rating 3287) there is no more adjournment option, neither in professional chess play or most amateur club play. So the BCC Paramount may be one of the last places on earth where there is indeed an adjournment." Steve Stepak's photo report on last year's Paramount. the BCC Legends of Chess, February 21. Brava, Carissa! earn a +41 to 2191 rating! Sicilian Dragon. Carissa defended strongly and won the game! Round 3. The game ended in a draw! sharing 6-7th place in the Open Section. NM Chris Williams on the move vs Carissa Yip in Round 4.
to share 3-5th place with NM Chris Williams and Evan Meyer. the full point and a total of 2.5 to share 3-5th place. with 3.5 points, for a +16 to 1919 rating. Bravo, Nicholas! in the U1950 section for a +8 to 1931 rating. Bravo, Nowell! during a break in the action. Black prevailed in a complicated endgame. dad, Dong Ping in the BCC Skittles Room. 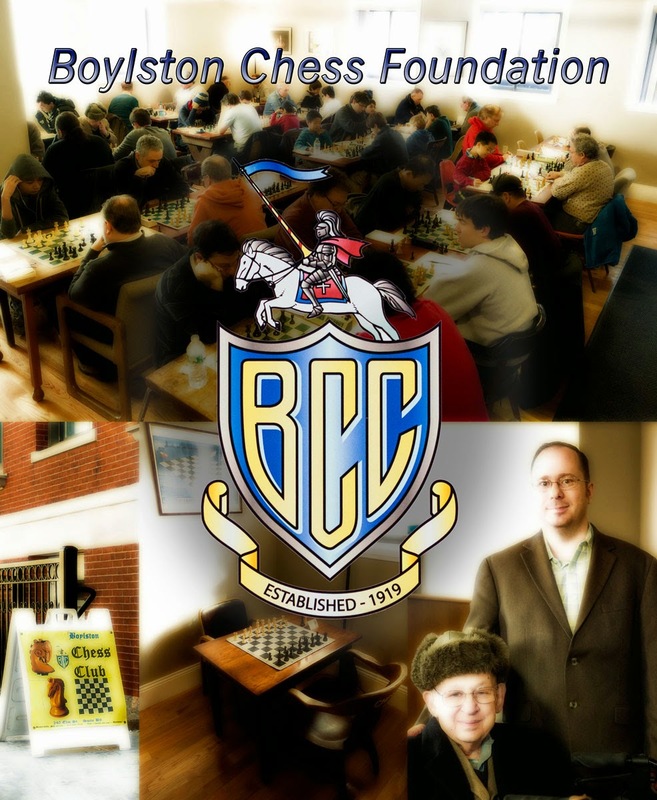 Over the course of the 2014-2015 school year, The Boylston Chess Foundation will hold its series of chess camps during the December, February, April school recesses, as well as two summer camps in June/July and August. How much does it cost? Club Membership is required for participation (Junior Membership: $100; Family Membership: $125). Camp fee: $120; $90 per child, if two or more per family. For first-time members the camp fee is reduced to $80. Please make checks payable to the Boylston Chess Foundation and please pay on site. Registration and capacity: Located in the renovated former Ellis School building, there is plenty of room at our pristine site for more students; we will bring in additional qualified instructors to maintain a healthy student-teacher ratio. Reservation is not required. Just show up to unit B103, at 40 Norris Street the morning of the first day, before or around 9:00 a.m.! Use the right-side door of the building. 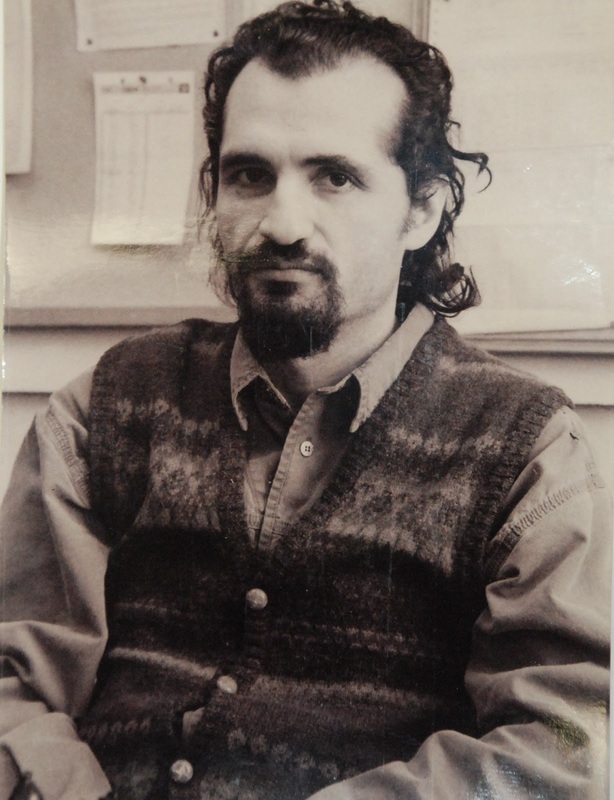 About the instructor: a master of the game and a Boylston Chess Club member for 25 years, Jacob Rasin has been a professional chess teacher for over 35 years in the Soviet Union and the United States. 1978-1989, Jacob served as head coach at the Pioneers Palace of the Leningrad Province; 1982-1985, he had the additional assignment of training Soviet grandmasters and international masters. Since 1990, he has taught privately and at schools in the Boston area. His students have won dozens of scholastic state championships and medals, and more than ten national championships in various brackets. Trained in the intense and competitive chess world of the Soviet Union, Jacob brings a crystal clear understanding of chess to the young children of the New England Chess Community. Jacob is good with kids of all ages, from five through sixteen year olds. Kids love his instruction and his sense of humor. New BCF Membership Rates, Renew or Extend Now!